Motion RC is happy to offer our customers the new line of Detrum transmitters which offer impressive cost savings without compromising quality and features. If you are new to the hobby, mindful of a budget and would like to get started with a radio you can trust then Detrum is your solution. 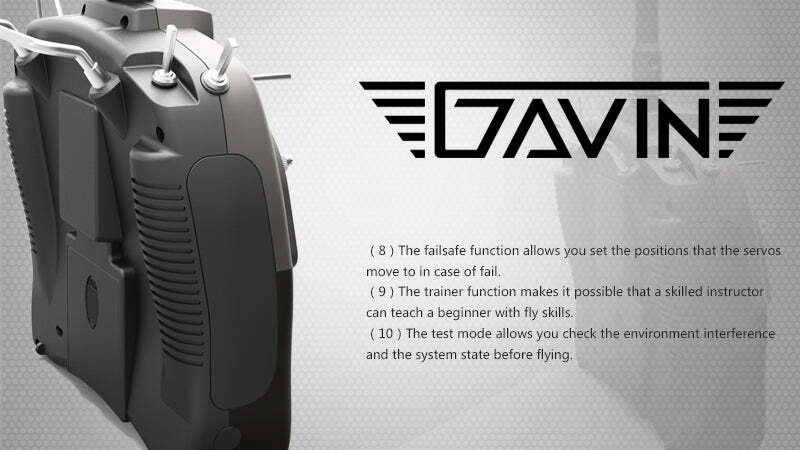 For those new to the hobby a 6-Channel radio is a perfect starting point for most beginner and intermediate airplanes. 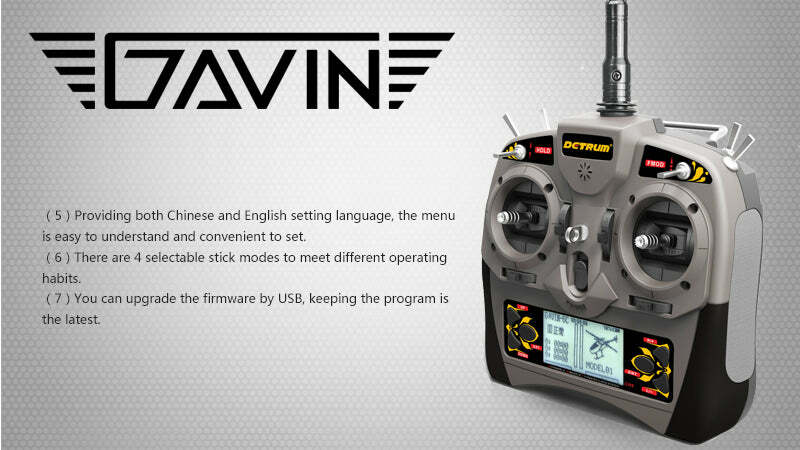 With the stability and reliability-supported technology that the Detrum GAVIN-6C transmitter offers, you can learn and grow in the hobby with the confidence and support you deserve. 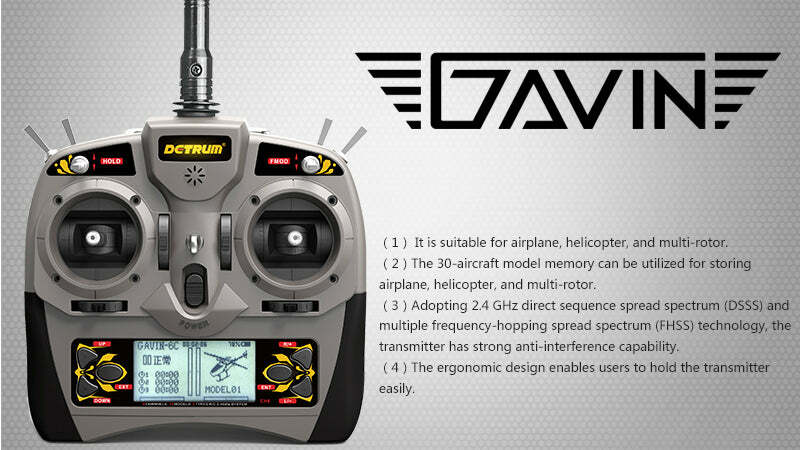 Detrum Gavin radios are only compatible with Detrum brand receivers. Click the Spare Parts tab above to see a complete list compatible receivers. November 16, 2017 - For a list of compatible receivers please click the Spare Parts tab above. To update the firmware you will need to purchase a micro-to-USB cable to link to a PC. Very happy with the product work good tank motion rc. VERY easy to program this transmitter. It is complete with all I need and being my first time in the RC world, it has more than surpassed my expectations. Hooked it up to the RocHobby Waco with the Detrum 6 channel receiver w/qyro and my plane flies perfectly. Get one ... it doesn't disappoint! Highly recommended.